Vector graphics of round speakers and many colorful flowers. Swirling plants stems, blobs of paint in bright colors, splatter and abstract circles for decoration. 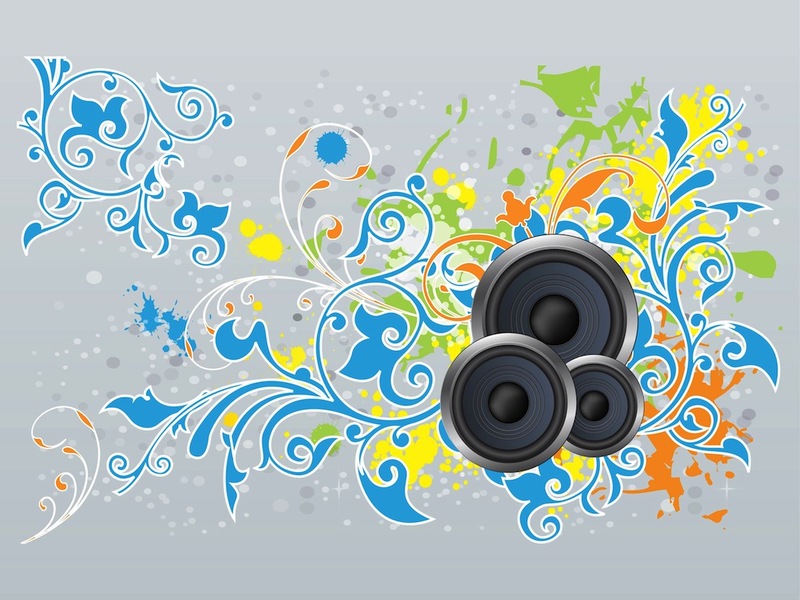 Fun and bright colorful music vector illustration. Free graphics for all party invitations, nightclub flyers and disco posters and advertising materials design projects. Tags: Bright, Colors, Floral, Flowers, Grunge, Nature, Paint, Plants, Splatters.